Home fries, small chunks of potatoes that are cooked twice, go well with a wide range of breakfast dishes, including omelets, eggs Benedict, bacon and sausages. You can customize the flavor to suit your personal taste by adding other ingredients. Try sprinkling them with lemon juice for a hint of tanginess, tossing them with roasted garlic cloves or cooking them with a sprinkle of finely chopped rosemary. Home fries are best when cooked immediately before consumption, but you can make them a day ahead then reheat them when you are ready to eat them. Rinse the potatoes, then pierce each one several times with your fork. This will allow the steam to escape. 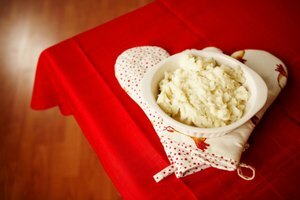 Put the potatoes on the microwave-safe plate and microwave on “high” for about four minutes. After this time, stab the potatoes with the fork to ensure they are done. If they are still hard and raw, microwave them for one more minute, then check again. Repeat this process until they are soft. 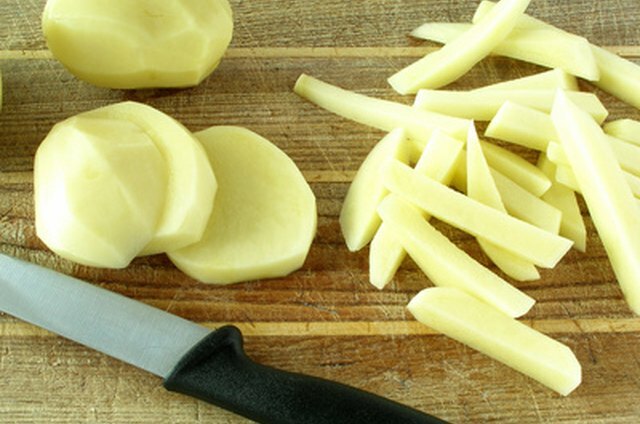 Place the cooked potatoes on a cutting board and slice them into bite-sized pieces. Be careful when handling the potatoes, as they will be hot. Place your heavy skillet on the stove, and turn the heat as high as possible. Heat the skillet for one to two minutes, or until a few droplets of water sprinkled onto the pan dry almost immediately. Add 2 to 3 tbsp. of the butter or oil to the pan, and swirl the pan to cover its entire bottom with the oil or melted butter. Fry the chunks of potatoes in one layer and immediately reduce the heat to medium. Cook the potatoes for three to four minutes, then stir them. At this point, the side of each chunk that was in contact with the pan should be brown. Cook the potatoes for another several minutes with another side down. Repeat this process until each side of each potato chunk is evenly browned (but not burned). This may take up to 20 minutes. Pour the fully cooked home fries into an airtight container and seal the container. 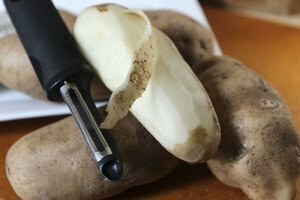 This will help retain moisture, ensuring the home fries do not dry out too much overnight. Refrigerate the home fries. Remove the home fries from the refrigerator shortly before you wish to serve them. Heat a skillet as you did to cook them, adding the oil or butter at the same time as before. Reduce the heat to low, then add the home fries to the skillet. Heat them on low heat, stirring constantly, for two to three minutes or until they are fully reheated. 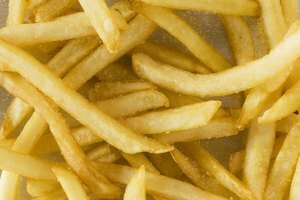 You can add onions and seasoning to your home fries to give them an extra kick. 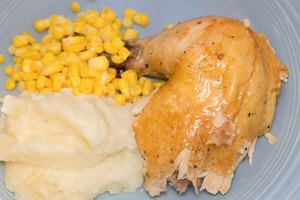 How Long Do I Boil Potatoes for Mashed Potatoes?